We Repair Computers & Video Game Systems. WE DO NOT REPAIR TV'S AND NO LONGER REPAIR PHONES OR TABLETS. Click Here To See What We Have Available In Store Now! 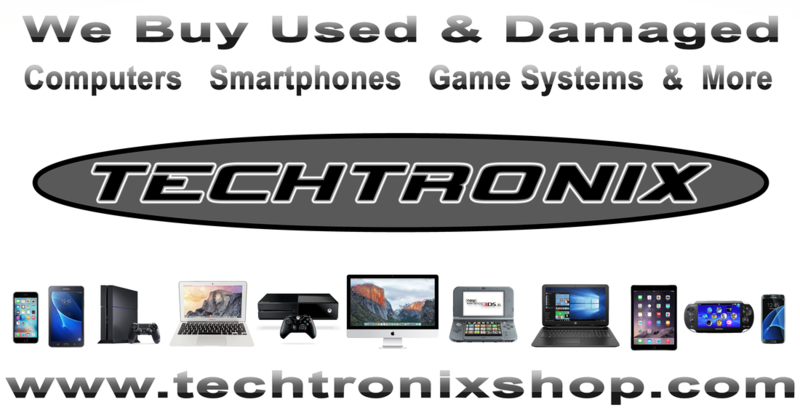 PAYING CA$H NOW for USED & DAMAGED laptop & desktop computers, Apple Macbook, iPhone, iPod, iPad, NEWER model major brand Android smartphones & tablets, video game systems including handhelds & much more. When you sell us an item we can recover your photos and documents to return to you before securely erasing your device. MUST BE 18 OR OLDER WITH PHOTO ID.